Do your heart good by jumping on a bike for The American Heart Association/American Stroke Association’s CycleNation Festival. 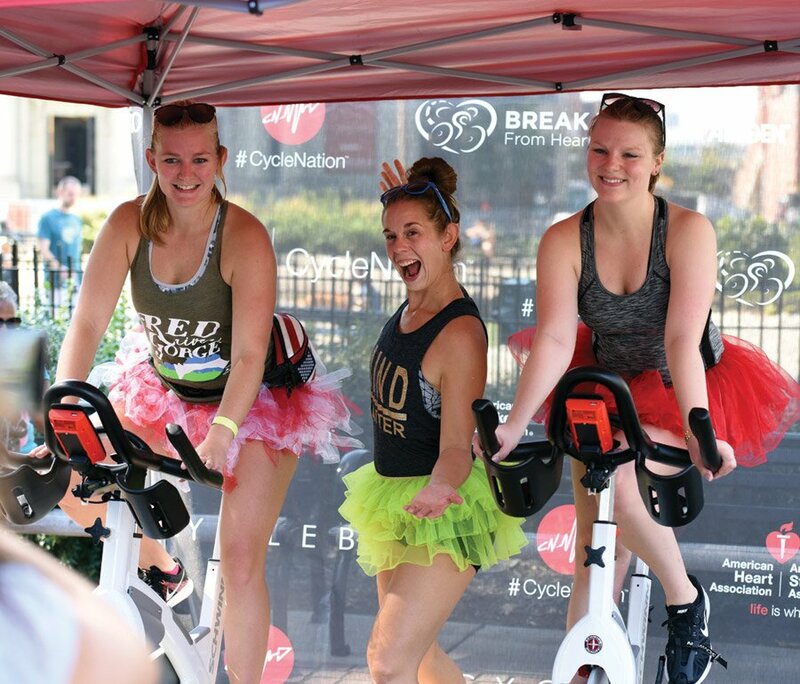 The festival is recruiting individuals to sponsor or create teams of four to ride 30 minutes each at a CycleBar-led class. Each rider will receive an event shirt, Wipe Away Stroke sweat towel, water bottle and a $10 gift card from ROADID. Top fundraising teams will receive a Headsweats hat, woven bracelets and more. “CycleNation is a movement to empower the nation to use road, stationary and indoor bikes to help Americans get brain- and heart-healthy while raising funds to continue vital community programs and support research to end heart disease and stroke,” said Susan Rosenberg, CycleNation director at the Greater Cincinnati American Heart Association/American Stroke Association. As the AHA/ASA’s premiere stroke-awareness event, CycleNation will showcase stories of survivors, raise awareness of the signs and symptoms of a stroke and teach participants how to create habits for better brain and heart health. The festival also will highlight all forms of cycling, including road, cyclocross, paved trails, mountain biking, bike commuting and touring.